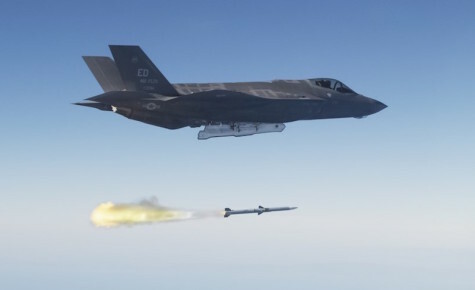 The Defense Department plans to continue studying the feasibility of equipping the F-35 Joint Strike Fighter with new weapons for boost-phase interception. The aircraft, in production by Lockheed Martin, has a sensor system that can feasibly perform missile detection via infrared signatures in the boost phase, transmit tracking data to the joint force, and can currently track and destroy cruise missiles. “In the future [it] can be equipped with a new or modified interceptor capable of shooting down adversary ballistic missiles in their boost phase and could be surged rapidly to hotspots to strengthen U.S. active defense capabilities and attack operations,” the report said. Click here for the full story, on the Defense Daily website.